It perhaps wouldn’t be the most obvious switch, but encompass have made the move from Sydney, Australia, to Glasgow, Scotland. 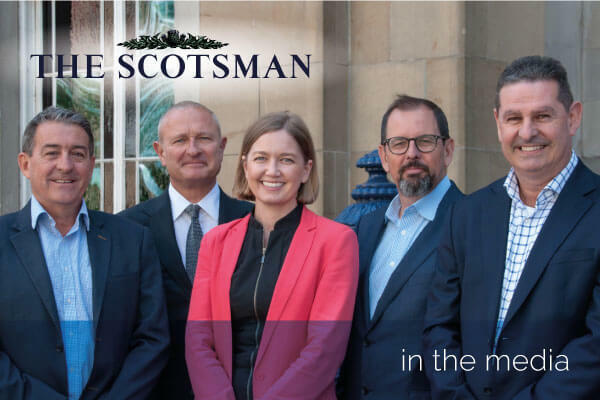 One of the principle reasons for the move has been the support and assistance offered to encompass by Scotland’s economic development agencies, including Scottish Enterprise, Scottish Development International and Scottish Investment Bank. Having proved the viability of the encompass product in the Australian market, the encompass team were confident in releasing it in foreign markets and began to investigate possible office locations abroad. After researching several potential areas in northern Europe and Northern Ireland, the team were introduced to Hugh Sutherland, a “GlobalScot”. Keen to sing the praises of Scotland, on visiting Glasgow, the encompass team were sufficiently impressed to open an office there. Following arrival in Glasgow, the team have been assisted by both Scottish Enterprise and Scottish Development International, the former who linked encompass to recruiters and an industry adviser in the shape of Gerald Murphy, a former director at City Park Technologies. The encompass team have been impressed with their decision of Glasgow for a number of reasons. First and foremost, is the ability to attract top talent. With a multitude of universities, Glasgow is home to some of the best educated graduates in the UK. Setting up costs were also a small fraction of the cost that they would have been in London and the south east. Combined with the opportunity for inward investment from Scottish Enterprise, swapping Bondi for Broomielaw has proved to be a great decision. Encompass's search for excellence brought it half-way round the world to Glasgow When most young businesses decide it's time to branch out a little, they're more likely to be eyeing up the next big city, a move south to London or a venture that's at least within reasonable striking distance.